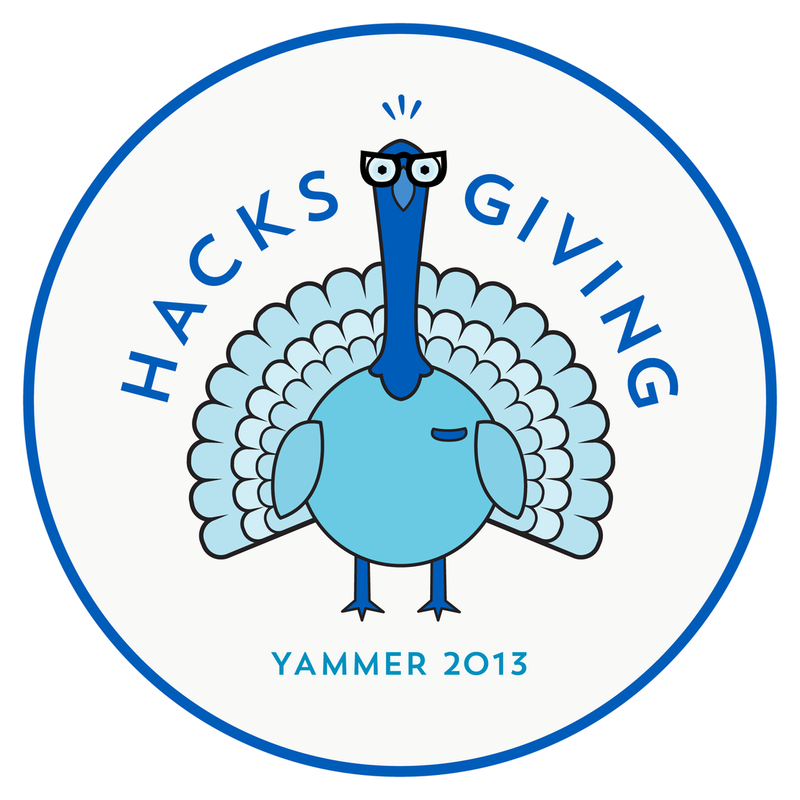 Yammer's Happy Hacksgiving - a 24 -hour competition dedicated to building innovative enterprise applications on the Yammer Platform! Come join us at Yammer's Happy Hacksgiving - a 24 -hour competition dedicated to building innovative enterprise applications on the Yammer Platform! This is your chance to compete with some of the best developers in the enterprise space. We'll provide a beautiful working space and plenty of snacks, drinks, and coffee. All you need to bring are your skills and creative ideas. Note: We will be hosting a canned food drive in honor of our Hacksgiving theme. We are requesting that attendees bring in can(s) to be donated to the local food bank for the holiday season. Thank you! Participants: Will need to provide identification upon request. Teams: There are no limit on team sizes, teams cannot consist of all Yammer/Microsoft employees. Yammer/Microsoft employees can only use publicly facing API's and may not use internal resources not available to the public. Countries: Must reside in United States and be able to attend Hackathon in person. Teams must register for a challengepost account and submit their hacks through challengepost. Teams must present their submission in person (3 minute timeframe) during judging to qualify for prizes. A link to working source code must be provided if requested. To enter, you'll need to first make sure to register for the event here https://www.eventbrite.com/e/happy-hacksgiving-an-enterprise-hackathon-tickets-8618212305. Then you and your team will use ChallengePost to submit your hackathon entry. How well does the application leverage the Yammer API? How well does the application solve a real problem for end-users?